Instrumental Analysis Granger Robert M., Yochum Hank M., Granger Jill N., Sienerth Karl D.
Authors: Granger Robert M., Yochum Hank M., Granger Jill N., Sienerth Karl D.
Add to cart the livre of Granger Robert M., Yochum Hank M., Granger Jill N., Sienerth Karl D.
Instrumental Analysis provides a rigorous, modern, and engaging coverage of chemical instrumentation, written with the undergraduate student in mind. 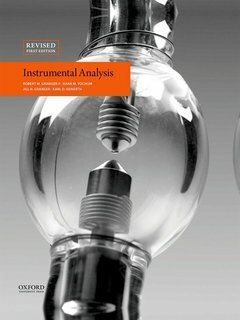 At its core, Instrumental Analysis includes the underlying theory, instrumental design, applications and operation of spectroscopic, electroanalytical, chromatographic, and mass spectral instrumentation. It provides students with the requisite skills to identify the comparative advantages and disadvantages in choosing one analytical technique over another by combining direct comparisons of the techniques with a discussion of how these choices affect the interpretation of the data in its final form.